Thinking about selling your home in Baytown, TX? Whether you are relocating or looking to sell an investment property, RE/MAX EASTSIDE is your real estate partner with the resources you need to succeed. We’ll work with you every step of the way to understand the “who, what, when, where, why and how” of selling a home, with clear information and helpful tips about negotiating, disclosure, neighbors, home values and more. When you say “Sell my house in Baytown, TX,” we’re ready to go to work. You want to get every penny you can from your Baytown, TX home, and appraisals can sometimes be surprising. To estimate the value of a house, an appraiser looks at many elements, including the size, location and condition of the home, as well as current market conditions and similar home prices. A comparative market analysis is another option for judging your home’s value. Do you really have to tell prospective buyers about a neighbor’s barking dog? It may sound a little silly, but some states do require disclosure of information such as this. Some also require an attorney to be part of the transaction. Home repairs, financing and neighbors can all affect disclosure. There’s no substitute for doing the homework and learning as much as possible about a buyer who has made an offer on your home. Keeping a poker face and not revealing too much information about your circumstances is another rule in negotiating the sale price of your Baytown, TX home. Smart buyers take into account what they can expect in the way of property taxes, so it’s in your best interest to keep them low. You can file an appeal with the correct county agency to take a second look at these taxes. Should You Help With Financing? Seller financing is an option for helping Baytown, TX buyers who don’t qualify for a conventional loan. It doesn’t involve any cash on the seller’s side and instead works more as a credit against the home price. If you want to consider this option, there are several factors to weigh before agreeing to this type of arrangement. 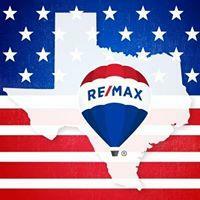 When you’re ready to say “Sell my house in Baytown, TX,” RE/MAX EASTSIDE is ready to help. We work with loans of all types and our goal is helping you sell your house quickly. Call our professional Realtors at 281-839-7889 or contact us online for more information about our services.